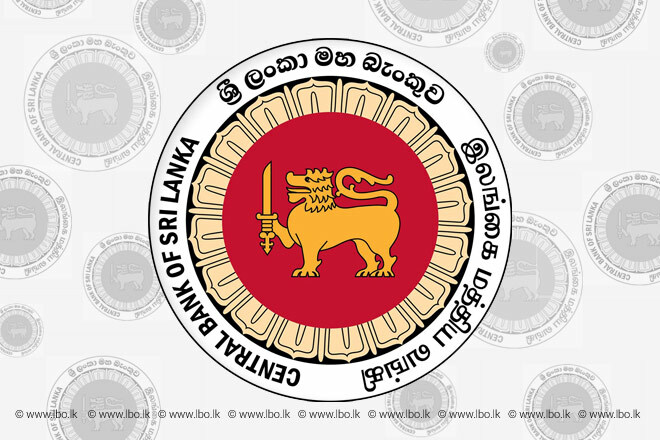 Mar 29, 2016 (LBO) – Sri Lanka’s monetary board held interest rates unchanged after a monthly monetary policy meeting, surprising some market participants who expected a rate increase. Seven out of 13 economists expected the Central Bank to raise rates to tackle high credit growth and pressure on the Rupee, according to a poll done by Reuters. Private sector credit growth was 25.7 per cent in January 2016 compared to 25.1 per cent in December 2015 and 27.0 per cent in November 2015. “Going forward, the growth of monetary aggregates is expected to decelerate gradually over the remainder of the year, reflecting the impact of the upward movement in market interest rates, while the envisaged fiscal consolidation path is expected to support the moderation of monetary expansion,” the Monetary Board said in a statement. In terms of inflation, the increasing trend witnessed in CCPI based core inflation continued into February 2016 as well, with core inflation registering 5.7 per cent, on a year-on-year basis, in comparison to 4.6 per cent in the previous month. “Going forward, with the policy measures already adopted by the Central Bank, inflation is expected to remain in low- to mid-single digit levels during the remainder of the year,” the statement said. According to provisional estimates of the Department of Census and Statistics (DCS), the Sri Lankan economy grew by 4.8 per cent, in real terms, in 2015 compared to 4.9 per cent in the previous year. The expansion of the economy in 2015 was mainly supported by services related activities, which grew by 5.3 per cent during 2015. Agriculture and industry related activities also contributed positively to the growth during the year, expanding by 5.5 per cent and 3.0 per cent, respectively. The growth in 2015 was largely driven by an increase in consumption demand, while investment activities witnessed a deceleration. Headline inflation (year-on-year) based on the Colombo Consumer Price Index (CCPI, 2006/07=100) increased to 2.7 per cent in February 2016, compared to 0.9 per cent in January 2016, mainly due to the dissipation of the base effect. Annual average headline inflation also edged up to 0.9 per cent in February 2016 from 0.7 per cent in the previous month. In line with these movements, year-on-year headline inflation, based on the National Consumer Price Index (NCPI, 2013=100), also increased to 1.7 per cent in February 2016 from negative 0.7 per cent recorded in the previous month, and was 2.6 per cent on an annual average basis. Meanwhile, the increasing trend witnessed in CCPI based core inflation continued into February 2016 as well, with core inflation registering 5.7 per cent, on a year-on-year basis, in comparison to 4.6 per cent in the previous month. Going forward, with the policy measures already adopted by the Central Bank, inflation is expected to remain in low- to mid-single digit levels during the remainder of the year. On the external front, the deficit in the trade account narrowed by 9.1 per cent, year-on-year, in January 2016 as the decline in expenditure on imports has been greater than the decline in 2 earnings from exports. Earnings from tourism are estimated to have increased by 19.4 per cent in February 2016, while workers’ remittances, which declined by 0.5 per cent during 2015, recorded an increase of 8.0 per cent during January – February 2016. Gross official reserves, which stood at US dollars 7.3 billion at end 2015, are estimated to have decreased to US dollars 6.6 billion by end February 2016, mainly due to debt service payments and the supply of foreign exchange to the domestic foreign exchange market largely to cover the demand arising from foreign investors who moved their funds away from the government securities market. Meanwhile, the Sri Lanka rupee remained broadly unchanged against the US dollar thus far during 2016. In the monetary sector, market interest rates have risen, reflecting the tightening monetary conditions and the transmission of policy actions of the Central Bank. The year-on-year growth in broad money (M2b), which responds to monetary policy actions with a time lag, remained high at 19.1 per cent in January 2016 in comparison to 17.8 per cent recorded at end 2015. Private sector credit growth was 25.7 per cent in January 2016 compared to 25.1 per cent in December 2015 and 27.0 per cent in November 2015. In absolute terms, private sector credit grew by Rs. 43.6 billion during January 2016. Going forward, the growth of monetary aggregates is expected to decelerate gradually over the remainder of the year, reflecting the impact of the upward movement in market interest rates, while the envisaged fiscal consolidation path is expected to support the moderation of monetary expansion. Considering the above, the Monetary Board, at its meeting held on 29 March 2016, was of the view that the current monetary policy stance is appropriate and decided to maintain the Standing Deposit Facility Rate (SDFR) and the Standing Lending Facility Rate (SLFR) of the Central Bank unchanged at 6.50 per cent and 8.00 per cent, respectively.